On June 2nd, 2010, the government introduced a new Copyright Modernization Act in the hopes of bringing Canada’s woefully out of date copyright law into the 21st century. Bill C-32, the third attempt in the last five years at achieving this, died on the order paper when parliament wad prorogued this past spring. Now, with a Conservative majority at the helm, the latest incarnation of Canada’s Copyright Modernization Act is speeding through the normal parliamentary process and is currently in its second reading. The new Bill C-11 is more or less identical to Bill C-32. As such, it contains all the same features and pitfalls as the previous bill. While Canada is desperately in need of a copyright makeover, a number of interest groups and individuals have questioned certain provisions contained in the bill and whether or not they will serve to benefit Canadians as a whole. In copyright law, there is a doctrine known as fair dealing which prescribes a list of categories where a person may freely make use of copyrighted content without the permission of the rights holder. In other words, it allows people to carry on activities that, but for the fair dealing doctrine, would be clear cut instances of copyright infringement. In current Canadian copyright law, research/private study, criticism/review and news reporting are the listed categories fair dealing. Bill C-11 seeks to add fair dealing for the purpose of education, parody and satire to the list. Both supporters and detractors of the expansion of Canadian fair dealing have criticized the government’s approach. Some supporters worry that the term “education” is too vague. Intuitively, one might see this as a positive for supporters of educational fair dealing in that the lack of a strict definition may elicit a wider application. While this may certainly be true, the reality of the situation is that mounting a fair dealing argument in defence of a copyright infringement law suit can prove to be a costly proposition. A more clearly defined statute may deter certain would be plaintiffs in situations where such clarity would have the effect of lessening their chances of success. Detractors of educational fair dealing, most notably Access Copyright (the Canadian copyright licensing collective for reproduction of educational materials for all of Canada except Quebec which is under the auspices of Copibec) claim that such a provision will cause irreparable harm to authors whose materials are used in schools. While parody and satire are not as hotly debated as educational fair dealing, there is one important question concerning these two new rights- namely, what’s the difference between them? The answer- which has proven to be less than obvious- changes depending on who is being asked. It seems that while parody denotes a more literal comical imitation, a satire is often described as more subtle. Satire also often carries a social or political commentary where parody can be more “superficial”. The fact remains that the difference between these two words is unclear and that they will most likely have to be defined by the courts. Finally, proponents of the expansion of fair dealing argue that the list of categories should be non-exhaustive, allowing for new dealings to be considered fair as they arrive. This would mirror the approach in the United States. American “Fair Use” begins the list of categories with the words “such as” (see Title 17 Chapter 1 §107 USC) allowing for innovations in the technological and cultural marketplace to exercise a greater control over what is and is not “fair”. Believe it or not, it is currently an infringement of copyright law in Canada to rip a CD to your computer and transfer it onto your IPod. It is also technically an infringement of copyright to use your “PVR” or “TEVO” to record shows for later viewing. While these are both common practices in Canada, they have been, up until now, violations of copyright law. Bill C-11 seeks to remedy that situation by allowing both “Format-Shifting” and “Time-Shifting” with the goal of legalizing these already common behaviours. While it is needless to say that cable and satellite providers such as Rogers and Bell have worked out contractual agreements insuring their customers with personal recording devices don’t get sued, it’s nice that the government thought to remove the need for such agreements by simply making these activities an exception to the scope of copyright. 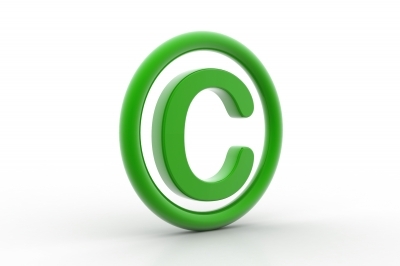 C-11 contains a novel provision never before seen in a national copyright law. The Use Generated Content provision, a.k.a the “YouTube” exception, will allow non-commercial creators of “remixes” and “mash-ups” to make use of copyrighted content in the creation of their new derivative works. This forward looking provision recognizes the paradigm shift in the creation and proliferation of culture described by Harvard Law Professor Lawrence Lessig as the move from “Read only” culture to “Read/Write” culture. The YouTube exception is, naturally, riddled with limitations and criteria. That being said, the simple fact that such a provision made it into the bill is a credit to Canada, a country often (rightly) criticized for having inadequate and out of date copyright law. For all the reasoned and forward looking provisions mentioned above, C-11 contains another provision that has proven to be the chief object of criticism against the Conservative government in adopting the bill. Clauses 41-41.22 of Bill C-11 which deal with the protection of “Technological Protection Measures” (TPMs) and “Digital Rights Management” (DRM) software disallows anyone from circumventing or otherwise “breaking” these protections. Briefly, a TPM or “digital lock” is essentially a piece of software that limits a user’s right to either access or copy a piece of media like a DVD or videogame. DRM software allows content distributers to manage these controls by monitoring the usage of the protected media and often transmitting this information back to the content distributer or a third party company. These provisions have been included in the bill to make good on Canada’s treaty obligations pursuant to the WIPO Copyright Treaty (WCT) signed in 1996. This treaty called for all signatory countries to include in their national copyright laws provisions that assure “adequate protections for digital locks”. 15 years later, C-11 seeks to ratify those treaty obligations. Most of the criticism against the digital locks provisions is aimed at the fact that it trumps all the above mentioned rights, including fair dealing. While the WCT calls for “adequate” protection, some argue that the provisions contained in C-11 go far beyond the minimum requirements of the broad language used in the treaty. Indeed many critics of the digital locks provisions, including University of Ottawa law Professor Michael Geist, have pointed out that even the American Digital Millennium Copyright Act (along with the accompanying case law developed since its inception more than a decade ago) is more permissive than C-11 on this point. The bill is being sped through Parliament and will likely be enacted exactly as drafted due to the majority government. Furthermore, the government conducted extensive consultation and examination during the committee process on Bill C-32 and is more than aware of all the interested groups’ positions on the subject. One thing is certain; Canada’s copyright law is changing drastically. The next step will be to see how the courts interpret and apply this new law in the coming years.